A dismal Manchester United side failed to ease the pressure on manager Jose Mourinho with a goalless draw against Valencia in the Champions League encounter at Old Trafford. United, who endured their worst start to a league campaign for 29 years, failed to take the initiative at home for the 4th successive game. Valencia showed a great account of themselves and grew along swiftly. The visitors had the better chances in both halves, and will walk away happy with a deserved point. United came close with Marcus Rashford clipping the top of the bar with a free-kick in an otherwise sorry affair. In the heart of United’s shocker, Romelu Lukaku had a poor game throughout. His lack of desire and movement thwarted United. Paul Pogba tried finding him several times with surging balls forward, but that resulted in nothing. One thing that was noticed was the Frenchman shouting at Lukaku for his lack of movement. Pogba was keen for the forward to create some space for him to pass to, but the Belgian didn’t move. 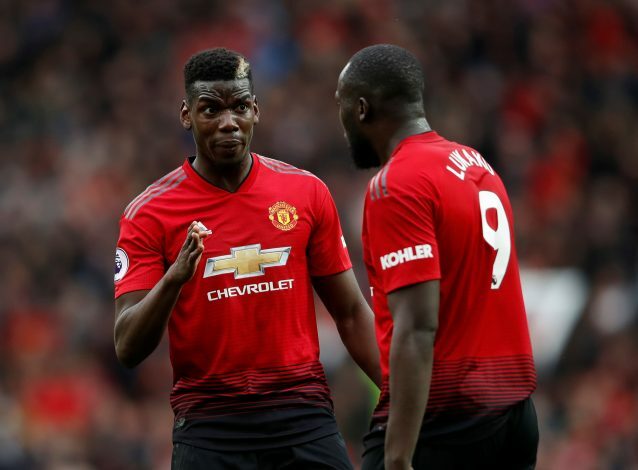 Fans are disgruntled with Lukaku as well, and had a real go at him on Twitter, with many feeling his positional sense evaded him during the match. Pogba screaming at Lukaku to move up front. How dare he tell our central forward to make attacking runs. Sub him now Mourinho! United are lacking in confidence at the moment, and there is no upliftment in spirit or performances. The Red Devils are second in Group H on four points, two behind leaders Juventus, who defeated Swiss side Young Boys 3-0. The English club faces Juventus in a double-header next, and things could get worse.